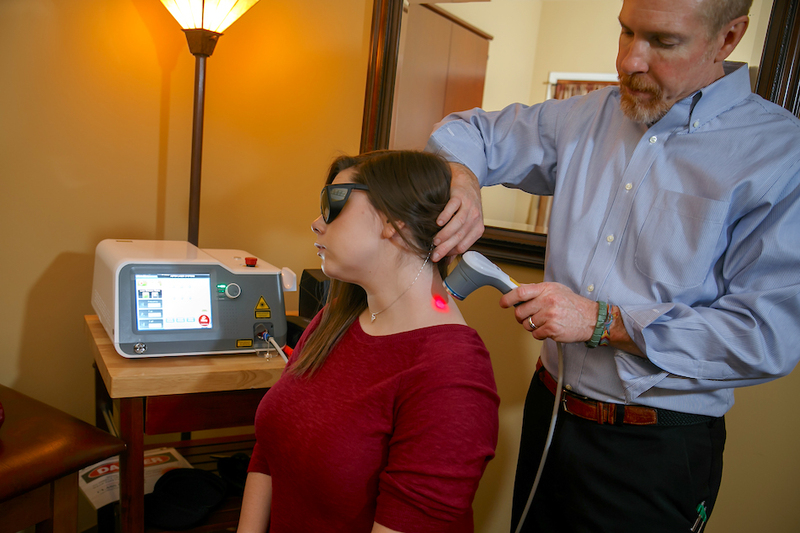 When you think of chiropractic care, you might think about headaches, back pain and conditions like sciatica or ear infections. What many people don’t realize is that chiropractic care is also effective at treating issues like ADD, allergies, PMS, and a host of other problems. Chiropractic is a safe, effective way to overcome many common health issues. The greatest impact chiropractic can have, however, is helping you in achieve your full potential. To be quite frank, if pain relief is your only goal, alcohol and drugs can effectively reduce or quiet your pain… Temporarily. however, if you want to really discover the why behind your pain then chiropractic and our office may be true partnership you have been looking for. 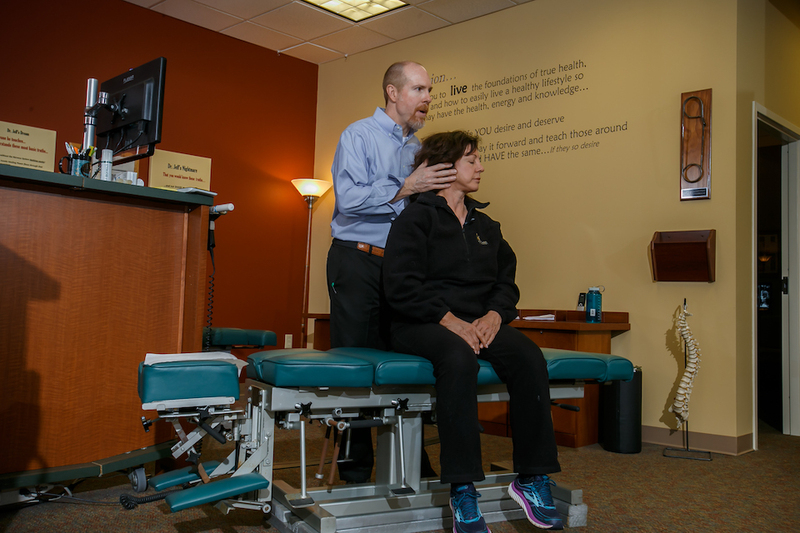 Dr. Jeff focuses on your body’s nervous system. This system is the master control for all functions of the body, including the respiratory, digestive, muscular, vascular, glandular, and immune systems (just to name a few). When there is blocking or interference with the nervous system the body will not work optimally, will not heal, and will not function efficiently. So it is just common sense that when we work to remove anything that interfere with your nervous system and work to improve your nerve function, you can experience your greatest well-being. 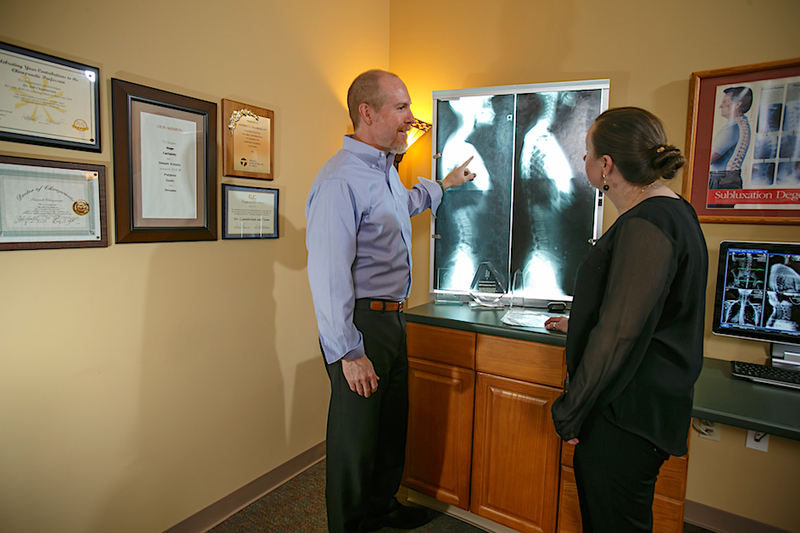 Step 1 – We will walk you through a comprehensive Initial Visit process, complete with thorough testing to fully understand the root cause of your problems. Step 2 – Then Dr. Jeff will send you home, giving him the time to thoroughly analyse your case and create a specific and unique plan for you to help you regain your health, strengths, and vitality. 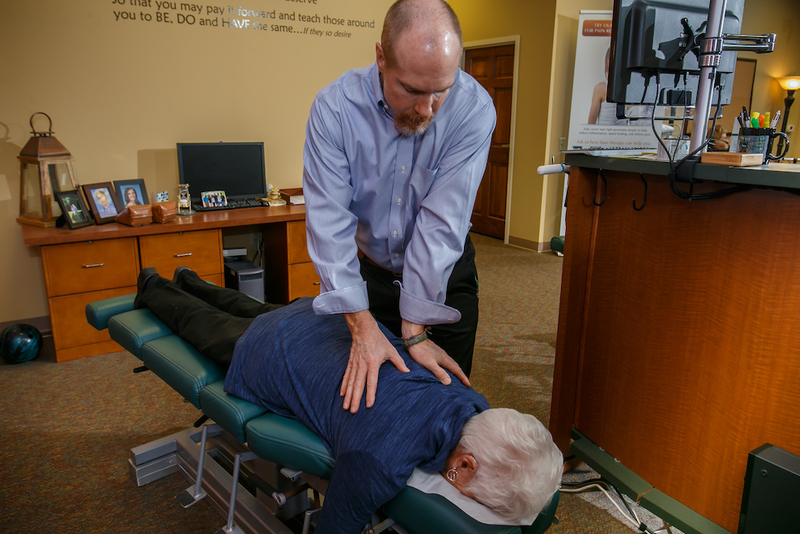 Step 3 – As early as the very next day, Dr. Jeff will spend a solid hour with you, knee to knee, discussing what he found, how he can help you and what your responsibilities are… so as a team we can get you back to the life you were designed for as quick as possible! We will talk about removing any physical barriers through the Chiropractic Adjustment. We adapt to your needs, making sure you’re comfortable and relaxed… and most importantly you get the results you desire. What is a Subluxation and how does it create pain, dysfunction, and lack of punction?